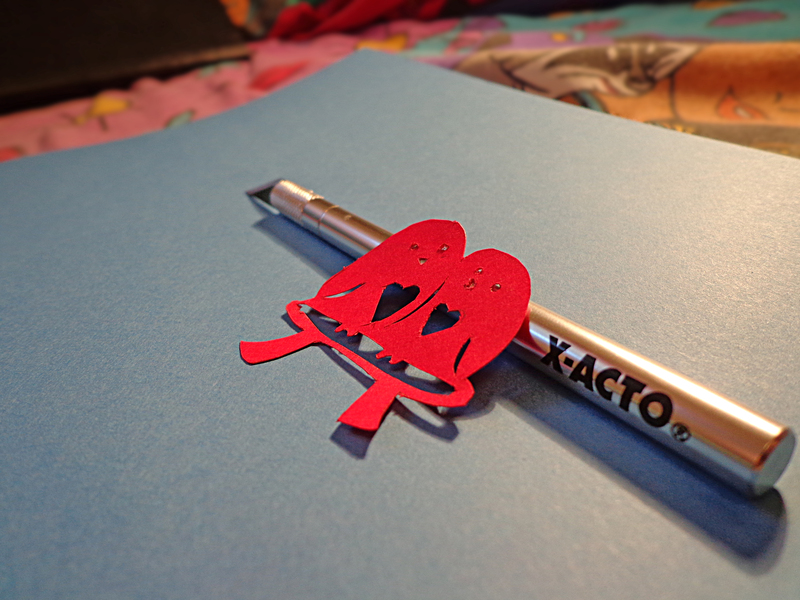 I just bought an X-acto knife to use on various projects, but I especially love paper cutouts. I decided to start with something simple and cute. Here’s what I came up with! 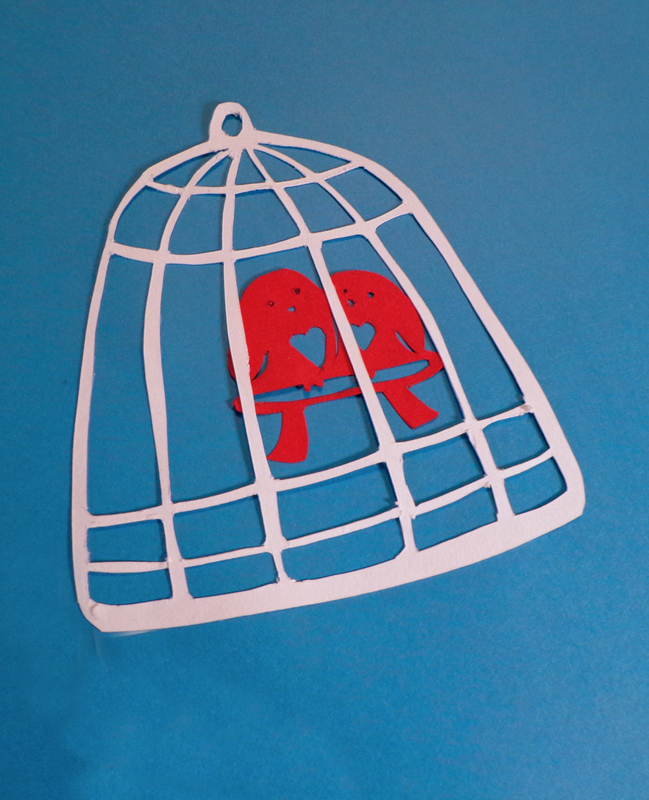 Trace lovebirds onto red paper and cut them out (carefully!) with an X-acto knife. 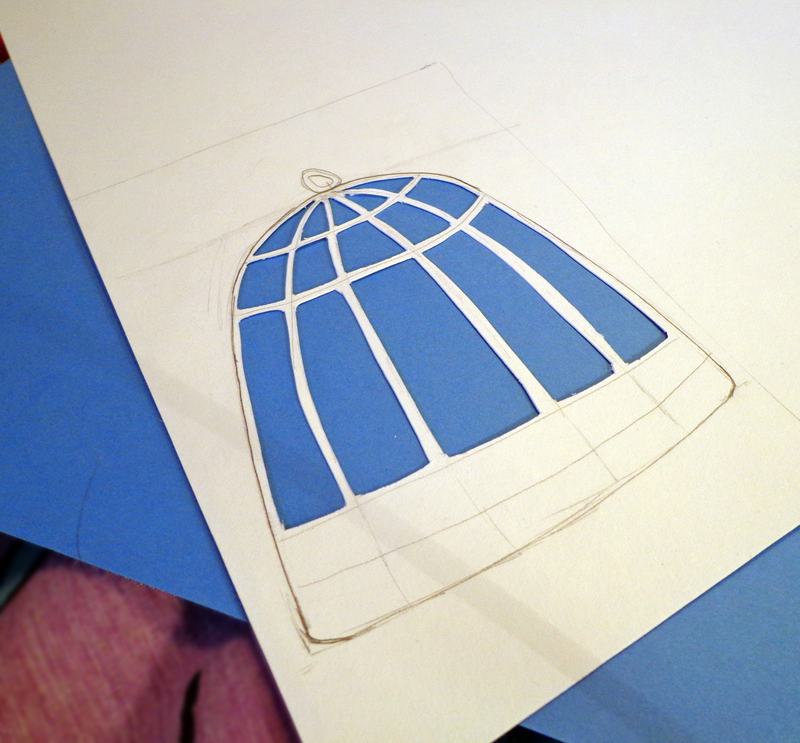 Draw a bird cage the right size for your birds and cut the paper out from between the bars. Make sure the bars are thick enough they won’t rip too easily. 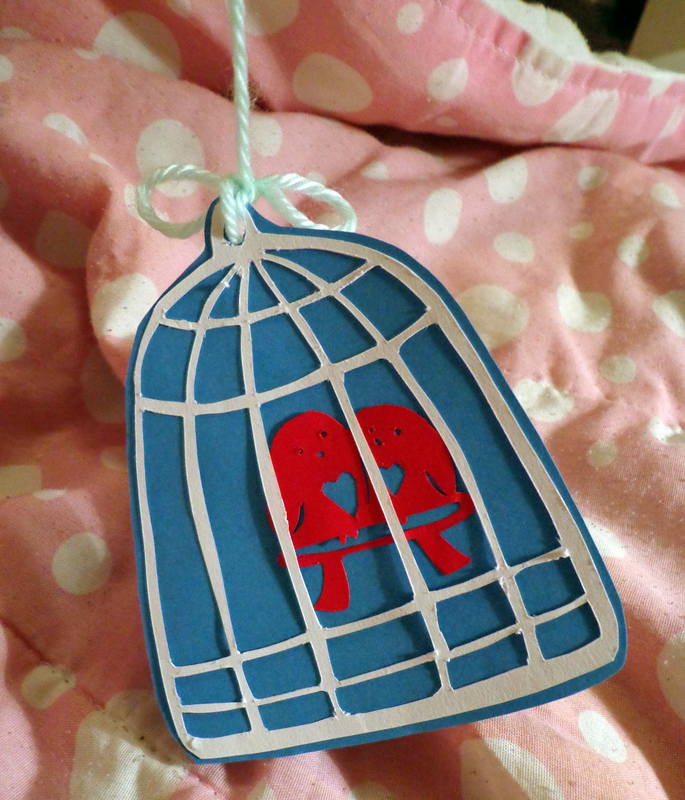 Glue the birds and cage onto another piece of paper and cut around the image. 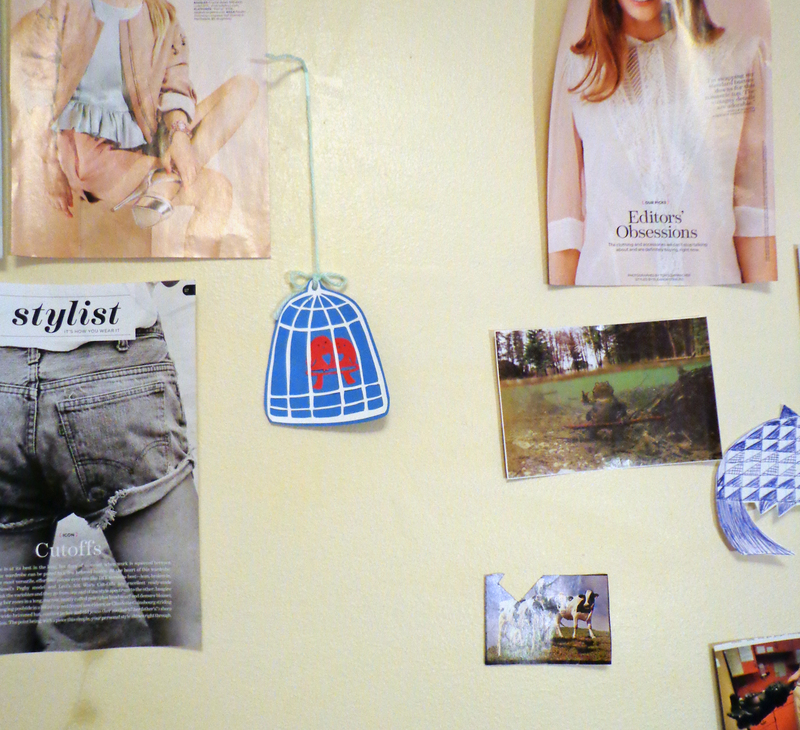 Tie a string through the hole at the top of the cage and hang up the final product! This would also be cute to use in a scrapbook or an installation with other images of birds. Voila! Here it is hanging on my wall with a few other images I like.